The Studio was built as an additional multi-purpose room in the 1980s. 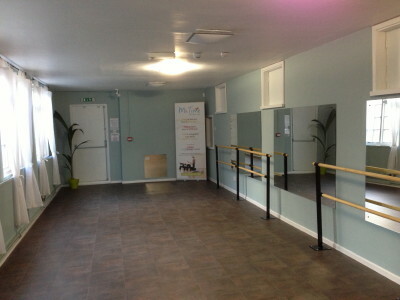 It has recently been upgraded to provide an excellent space for exercise/movement classes such as Yoga and Pilates. The space can be used for other purposes but, to protect the floor, we ask that outdoor shoes are removed and cannot permit any kind of furniture to be brought into the room. The Studio is located upstairs (note, there is no lift available) and is 10.3m long by 3.8m wide (34′ by 12′ 2”). It has a basic kitchen, the use of which can be included in the hire if required. It can be accessed only through the rear door. There is easy access to male, female and disabled toilets. The standard hire rate for this hall is £15.00 per hour. Discounts apply for members (10%), for regular hire (10%) and single bookings of 3 hours or more (10%).